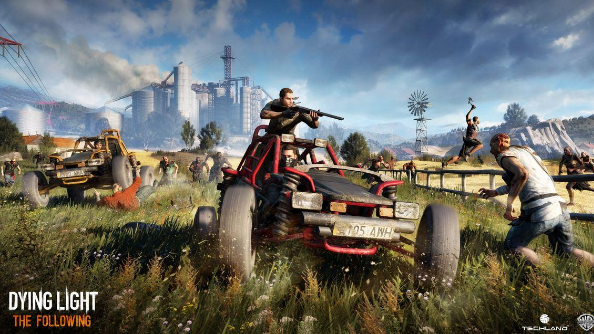 Dying Light is picking up an expansion soon in the form of The Following, and it’s one of those old-school style expansions that adds a massive new map, new vehicles, and new guns to perforate zombies with. Developer Techland recently streamed the expansion in action, but if you missed out on that you can watch 15 minutes of uncut zombie slaughter right here. The commentated video shows The Trust Is Out There quest chain. The Following will see players head out to the hazardous outback regions, where fanatical cultists rule the land, and who have connections with the zombie outbreak. We’re still waiting on an announcement for a release date, but The Following will be free for Season Pass holders, and $14.99 for everyone else.